The Carabiner Golf Tool features durable stainless steel construction and is customizable with brand logo to create amazing Business Giveaways. Impress all your golf loving customers with a never before so exciting gift at the upcoming promotional event and win their hearts. 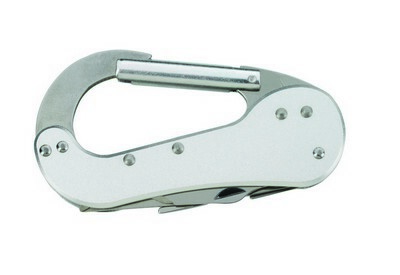 The Carabiner Golf Tool is a multi-purpose tool that ensures uninterrupted golf performance. 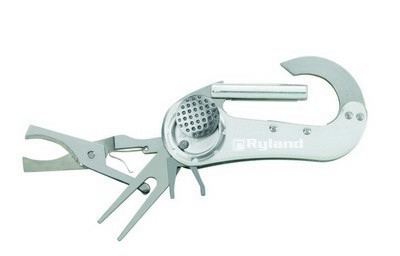 It is made using high quality stainless steel and is durable and reliable. 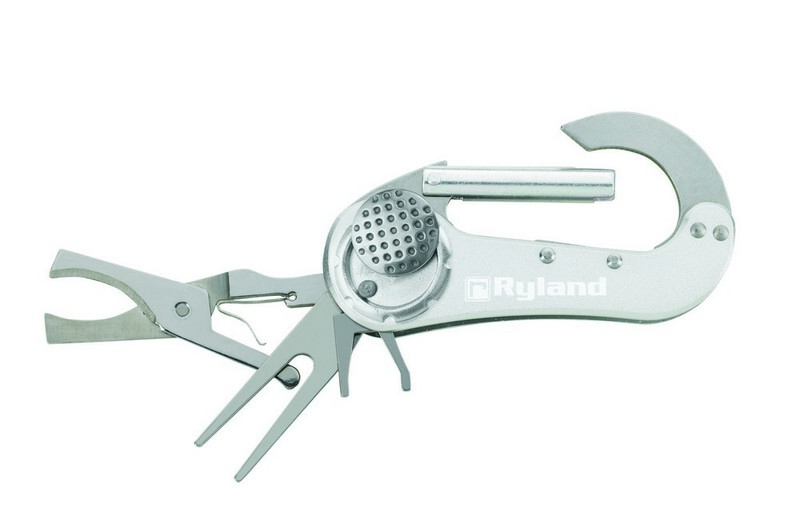 It includes a magnetic ball marker, a cigar cutter, a spike repair tool, a divot repair tool and a carabiner tool. Perfect for gifting and for golf events and tournaments, this interesting promotional giveaway item would definitely expose your brand logo and marketing message as effectively as you would desire.